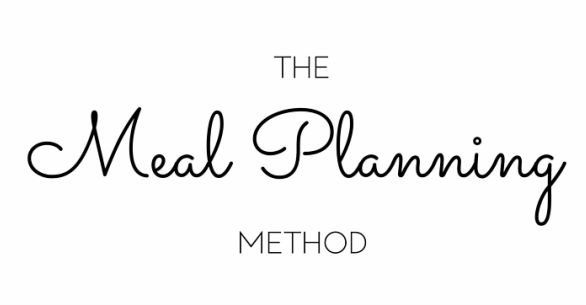 The Meal Planning Method was created as a simple way to address how-to meal plan for those wanting to implement better eating habits for themselves and their families. In a culture where we're constantly hearing about what to (and not to) eat, maybe we don't have a clue about how we're going to actually make that happen in our busy lives. The Meal Planning Method was Registered Dietitian-developed to help you decrease the daily food frustration in your life and give you back your time and sanity. All foods can fit. We don’t believe in extreme eating or restrictive dieting. We truly embrace the idea that you can enjoy all types of foods in a healthy, active lifestyle. We nourish to flourish. There's no doubt that food provides essential vitamins, minerals, and nutrients that allow you to live your best life. Food also provides pure enjoyment. We encourage food choices that fuel our bodies and our taste buds. Don't stop, get it, get it. We get it... life happens. But it’s about getting out of your own damn way to allow healthy habits to happen in a way that works for you, not against you. Healthy eating isn’t an obligation, but an opportunity to feel your best - mentally, physically and spiritually. Do what works for YOU. It’s not about what you should be doing or what's working well for the hottest A-lister right now, but about discovering a way of healthier eating that works for YOU and doing it for YOU. Lindsey is a Registered Dietitian Nutritionist and Lifestyle Coach from Nashville, TN. She graduated from the Dietetic Internship program at Vanderbilt University Medical Center, and prior to this, earned her Bachelor’s degree in Human Ecology from The University of Tennessee, Knoxville. She is a weight management expert, meal planning master, and TN Academy of Nutrition and Dietetics Nashville Media spokesperson. Lindsey is passionate about helping people ignite the healthy that makes them happy and you can follow her personal food-filled adventures at @handmadehealthy!